A confession here. I am one of the world’s biggest fans of kitchen gadgets and accessories. 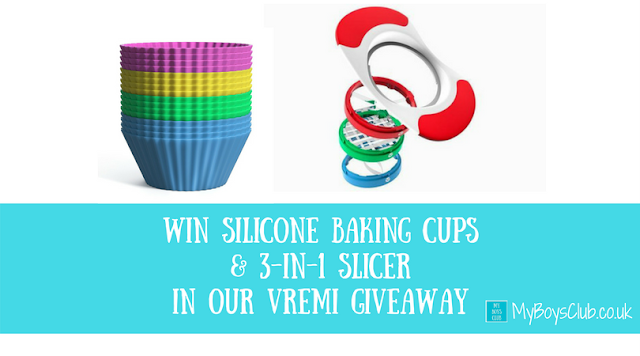 So when I was offered the chance to review some Silicone Baking Cups & 3-in-1 Slicer giveaway, plus the opportunity to offer a lucky reader the chance to win both, I obviously had to say yes! I’m a massive fan of silicone bakeware. The non-stick baking cases make baking so much easier as well as preventing waste. I also have a child who although loves apples will only eat them chopped up. You should have seen his face when he saw what the 3-in-1 slicer could do with an apple. He was totally impressed! And you can win them both in our fab giveaway with Vremi. 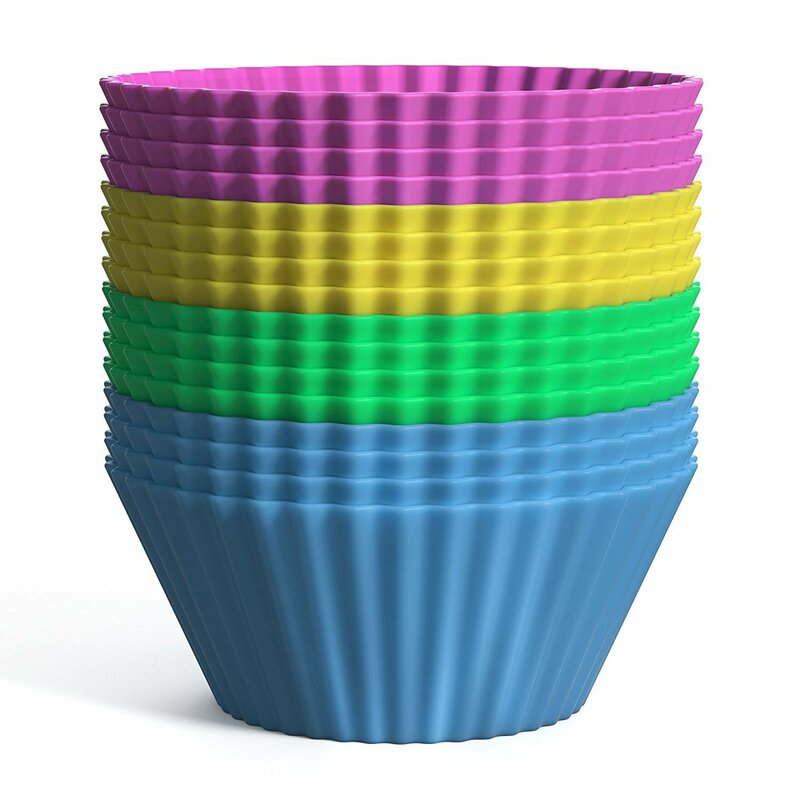 These nonstick silicone baking cups come in pink yellow blue and green. 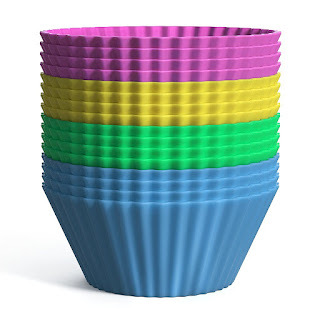 They are reusable providing an eco-friendly solution for perfectly shaped cupcakes, muffins and more! 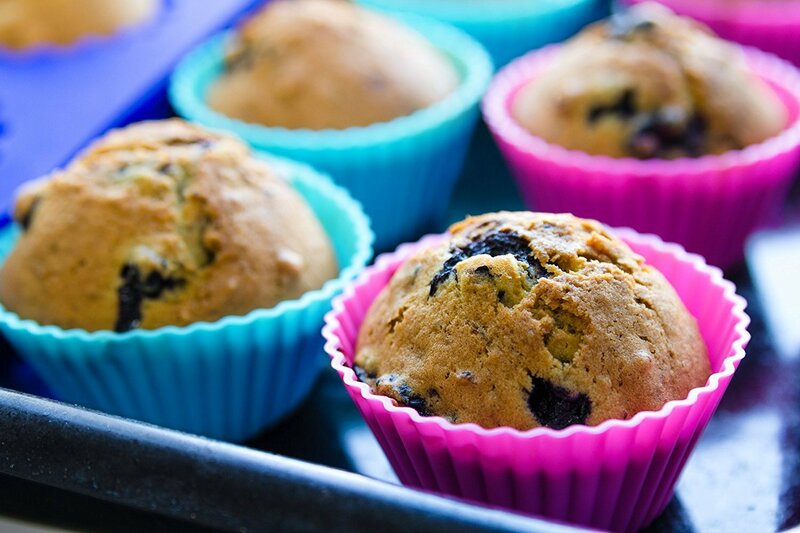 They are made from high quality 100% food grade BPA free silicone, and are oven and microwave safe up to 480ºF (249ºC) as well as freezer safe from -40ºF making them perfect not only to bake things in but also to freeze things too. They can also be washed in a dishwasher. Silicone is a type of synthetic rubber created from bonded silicon and oxygen. Silicon is a very common natural element found in sand and rock – it makes up 28% of the earth’s crust. 1. Durable: Despite being lightweight, silicone is strong and sturdy material that can last for a long time. 2. Non-Stick capability: You even don’t have to use grease or a baking spray, which saves prep time and reduces calories. The baked goods came out easily and effortlessly. 3. Food will bake evenly: The food bakes smoothly and stops baking process once removed from the oven. 4. Temperature resistant and it cools quickly, which makes it more convenient to use. Need to slice some fruit or veg quickly for dinner? Or even get the kids interested in healthy food preparation? 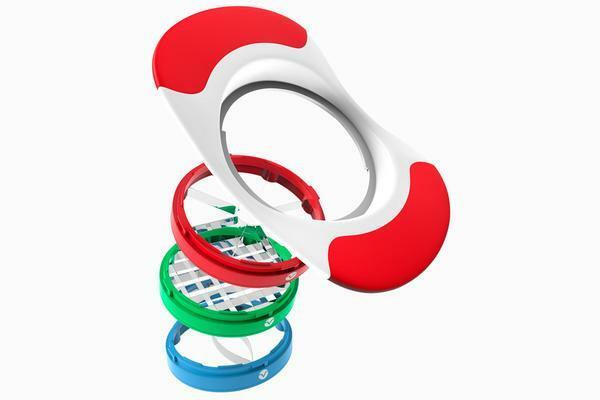 Then this 3-in-1 manual slicer is for you. Not only does it core and slice an apple into 8 pieces is one go, it can also core a mango and slice a potato into 36 slices too, with its interchangeable blades. They are so sharp they cut through an apple like its butter. Fruits and vegetables are low in calories, high in nutrition, high in fibre, and most of them taste pretty good. 1. There are over 7000 different types of apples grown all over the world. 2. An apple tree can produce up to 400 apples a year. 3. Apples float in water because they are 25% air. 4. Apples give you more energy than coffee. We also love cooking with apples - check out our recipes here. To win this fabulous prize of Silicone Baking Cups & 3-in-1 Slicer Giveaway, simply enter below.